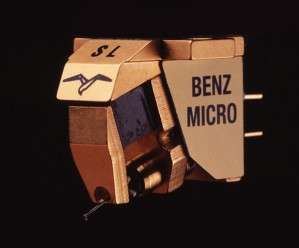 The famous Benz Glider, originally introduced in 1993, now features the Benz MicroRidge stylus and is available in three outputs: SL, SM, SH. Its open air design, medium compliance and 6.8 grams weight make it ideal on a very wide range of tonearms, one of the many reasons for its incredible success. The SL is .4mV at 3.54cm/sec with a coil impedance of 12 ohms, perfectly suited for MC phono stages with 60dB or higher gain. The SM is .8mV and 24 ohms, designed for less efficient systems and tube phono stages with gain between 45  58dB. The H2 (2.5mV at 3.54cm/sec) is among the best high output moving coils ever made, ideal for MM type phono stages, low gain tube phono stages and AV systems. The lower mass coils and matched cantilevers of the new S Class retain their real world output levels and with their improved styli, offer higher performance. 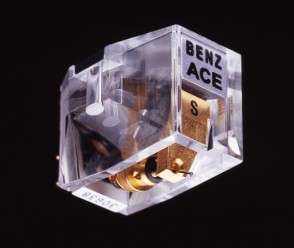 Conceived in 1996 as the most affordable Swiss hand-made moving coil, it took 5 years and a new factory to deliver the Advanced Cartridge Engineering of the ACE in 2001. Now the S Class models of the ACE SL (red), SM (clear), SH (blue) all incorporate the Benz MicroRidge stylus for the best performance/value ratio in phono cartridges, regardless of output level. The SL is .4mV at 3.54cm/sec with a coil impedance of 12 ohms, perfectly suited for MC phono stages with 60dB or higher gain. The SM is .8mV and 24 ohms, designed for less efficient systems and tube phono stages with gain between 45  58dB. The H2 (2.5mV at 3.54cm/sec) is among the best high output moving coils ever made, ideal for MM type phono stages, low gain tube phono stages and AV systems. Music lovers can take advantage of industry leading programs in upgrading previous Benz models or other brand cartridges to the new ACE S Class. 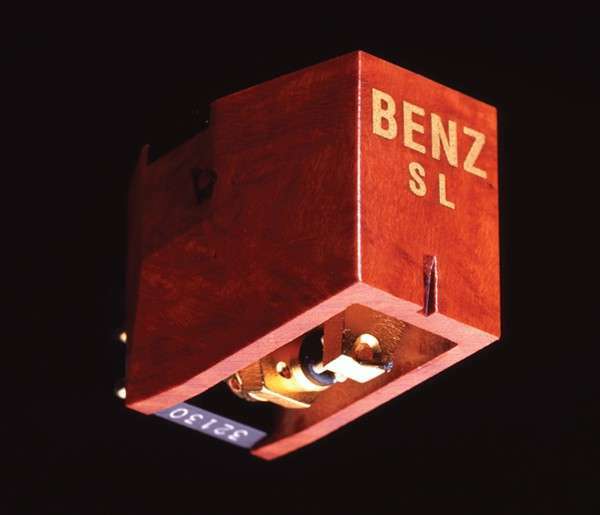 The S Class models of the Wood Body SL (low), SM (medium) and SH (high), all incorporate the Benz MicroRidge stylus coupled to improved generators using new coil windings and refined pole pieces/damper designs. Albert Lukaschek began researching increased performance and uniformity of his crosscoil designs while developing the Benz Ebony H, L and TR models. Experimenting with the length of the solid Boron cantilever revealed how the elasticity of this very stiff material contributed to compliance and trackability. Development of a grooved rear pole piece for countersinking the o-ring damper, first introduced on the Benz Ruby square plate cartridges, was then adapted to the cross coil designs, given their lower contact area and damping. The SL is .4mV at 3.54cm/sec with a coil impedance of 12 ohms, perfectly suited for MC phono stages with 60dB or higher gain. The SM is .8mV and 24 ohms, designed for less efficient systems and tube phono stages with gain between 45  58dB.